Yo. What’s up? Happy summer ’07! Having fun, aren’t you? Well, that’s a good thing. You should, so don’t feel guilty for it. Actually, you probably aren’t. That Irish guilt you feel for any day you have too much fun or relaxation doesn’t really kick in until a few years down the road when you become super driven and obsessed with this existential thought that there is a “wrong way and a right way” to live and it’s your job to figure it out (yeah, I don’t know where it came from either, but it will stress you out at times). Ok, so! 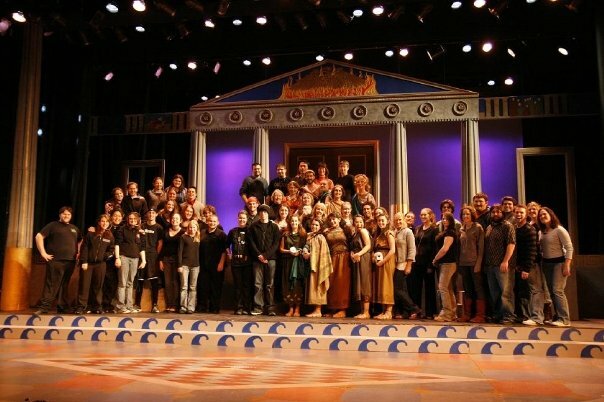 This past spring of ’07 you suddenly up and left Salve Regina University to enroll in Salem State’s rigorous, competitive, and award-winning theatre program. Good call, lady. I can safely say, making this decision changed your life and put you on the right course. Salem is going to open your eyes this fall and make you see theatre in a completely different (richer, better) way once you take that Script Analysis class. Your professor Bill Cunningham is going to blow your mind, so get ready. After that, you’ll never turn back. Spoiler alert! Five years from now, Kerri will be in California on a trip she won from work because she’s such a rockstar as a financial advisor at Prudential and Meghan will be … engaged! Yup, you won that bet. And you, my dear, will be living in New York City, pursuing theatre and doing a good job at it, might I say. I know, you never thought you’d do it, but … you do 🙂 This fall starts your hunger for more. You start realizing what you can do. And you fall in love 🙂 It won’t last, but it will be quite the journey. It will be tough towards the end and after it ends, but that first year is worth it. And it will feed your art for a while. Even today, recent aftershocks from it lend itself to the play you’re writing (yup, you become a playwright senior year of college – again, thank Bill Cunningham for the guidance). Oh yeah, hug everyone as much as possible because in New York, for the first two years, no one hugs you. LOL. You find it hilarious. Because it is. You loser. 😛 Love ya. A blast from the past …. 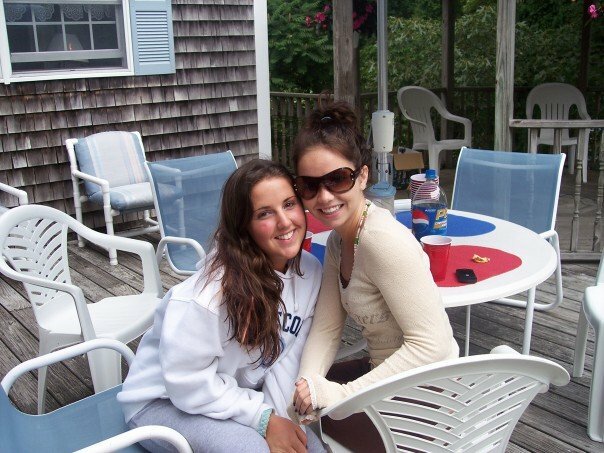 Summer ’07: You and your bestie, Kmo. Though you’re miles away, you always stay sisters. 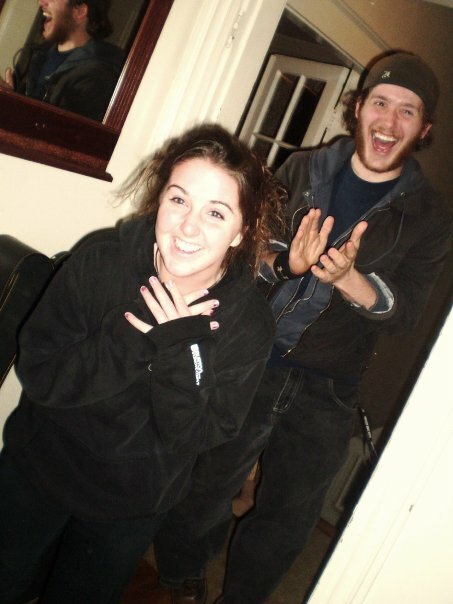 Summer ’07: Having fun with Megs. 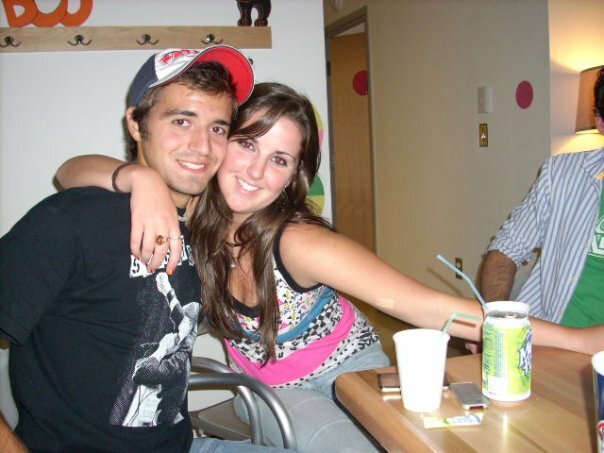 Fall ’07: First semester at Salem State. You’re chosen as one of the few first year lab students to work on Antigone. Woot woot hollerr. 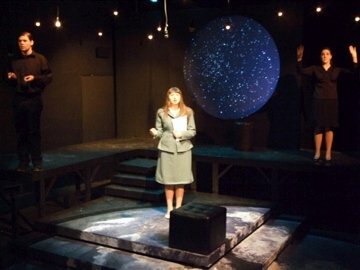 Nightsky will be the first show you are cast in. That’s you stage left. You have to learn sign language for this part. Five years later, you forget it all.